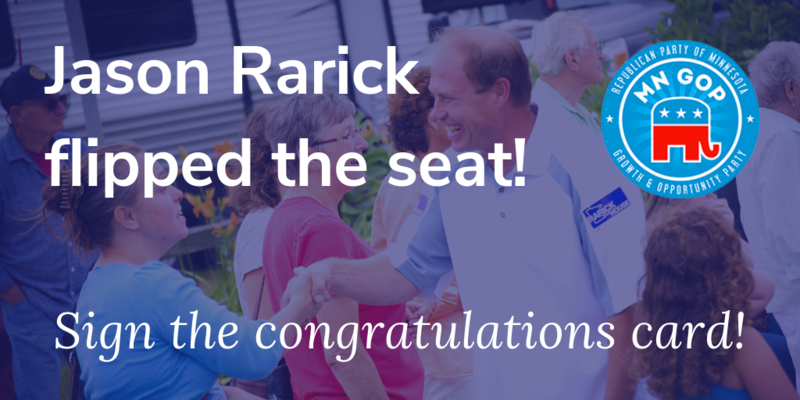 Jason Rarick and his team made history last night: They won historically DFL-held Senate District 11 in a special election. Please join the Minnesota Republican Party in congratulating Jason by signing our congratulations card. Good work Jason!